Just to the north of Dallas is Richardson. With a population of more than 104,000, it has been dubbed the "Telecom Corridor," as it is home to Texas Instruments, Nortel Networks, Cisco Systems, Fujitsu, Alcatel, Rockwell, and another 500 or so high-tech firms. Richardson has 27.4 square miles within its city boundaries; 18.2 is in Dallas County, with the remainder in Collin County. Richardson's retail base centers around Richardson Square Mall, with about 80 stores. Restaurants from fast-food franchises to full-service restaurants are abundant. 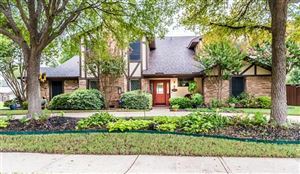 The average sales price for a home in Richardson is about $184,700; average apartment rent is $1,001 and the median family income is $71,082. Richardson ISD is one of the best in the Dallas area and has been recognized as one of the top 25 school districts in the United States. In Texas, the school boundaries do not necessarily align with the city boundaries. Therefore, some parts of Dallas and Garland are within the RISD boundaries; however, the portion of Richardson that is in Collin County attends Plano schools. Higher education is also available at Richland College, a campus of the Dallas County Community College District, and the University of Texas at Dallas, a 4-year university specializing in science, engineering, management, and social science. About 46% of adults living in Richardson have at least 4 years of college education. For those interested in sports, Richardson offers municipal and private golf courses, tennis, swimming, and other team sports. For fishing, boating, and water sports, area lakes are within close driving distance. Most residents live within half a mile from one of Richardson's 27 public parks. There is a large public library, a symphony orchestra, and other cultural groups, numerous acres of parks and public recreation facilities, major medical centers, a variety of housing choices and well planned streets and expressways.